E-mailing photos has never been as easy as it should. The process of transferring pictures from your smartphone to desktop has long been a major pain, but that’s changing for those who use Google+ Auto Backup and Gmail. 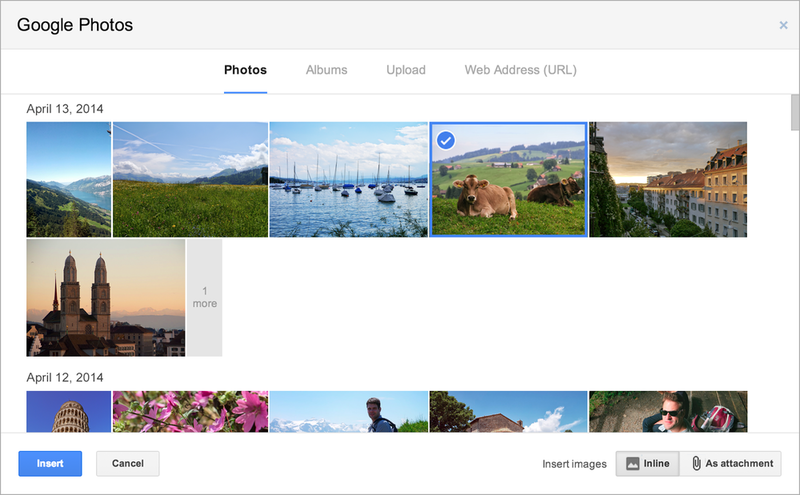 The Gmail team announced that, starting today, all photos automatically backed up through Google+ will be accessible via the Insert Photo button in Gmail. Entire albums can be shared with friends and family, plus photos can be resized within the e-mail body, allowing for a seamless sharing experience. The new feature is rolling out gradually, so don’t fret if it hasn’t appeared for you yet.